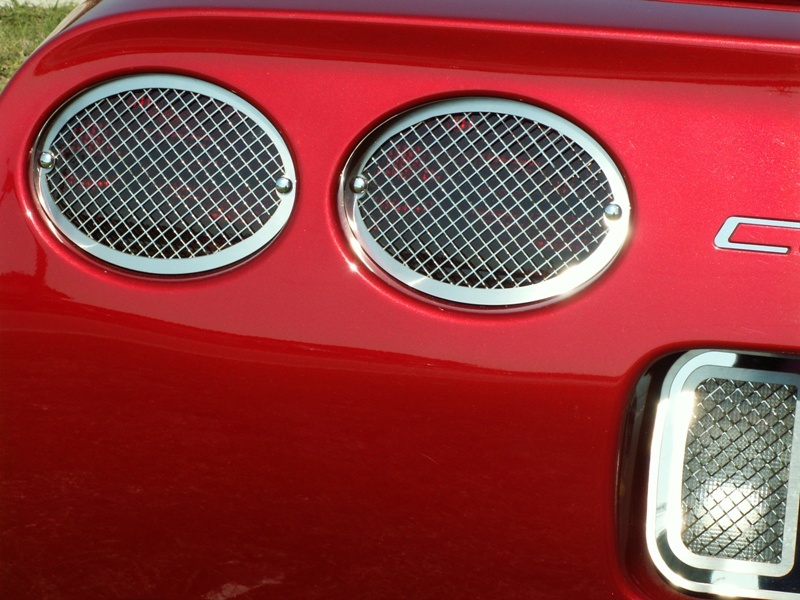 4-piece rear tail light grilles includes hardware and chrome screw covers. 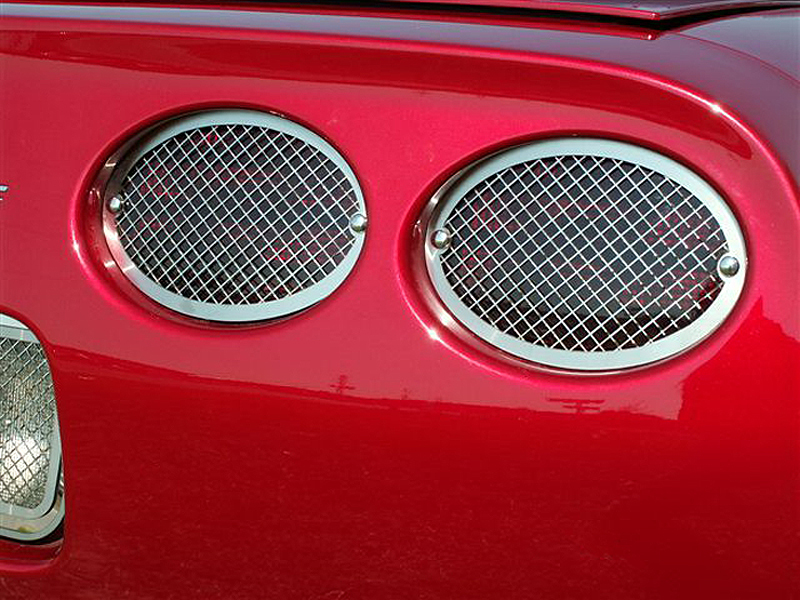 These custom-made, high quality 1997-2004 C5 Corvette accessories have been constructed of premium 304 stainless steel that is laser cut into a precise diamond mesh pattern and then hand crafted and engineered to achieve an unmatched fit and finish. The diamond finish is NOT the common wire mesh found in other accessories of this type. 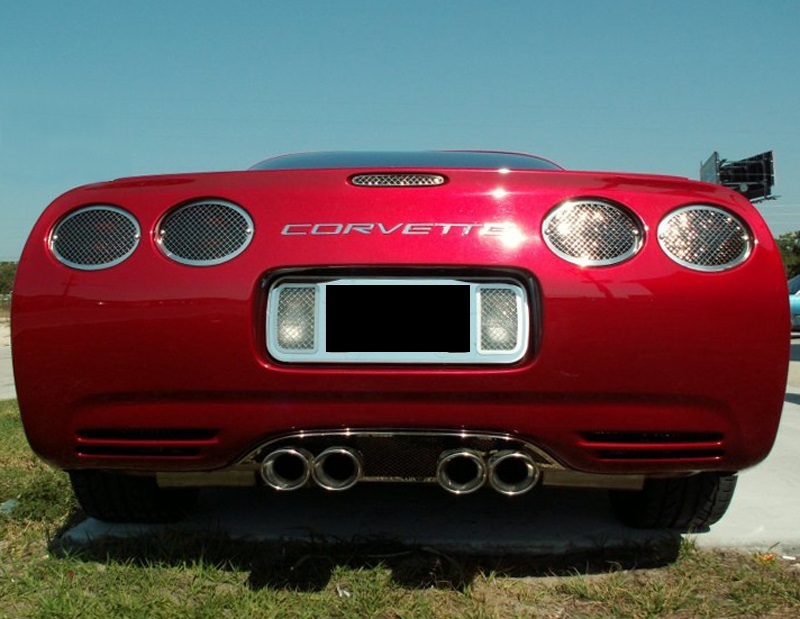 This unique line of accessories will compliment your Corvette's sleek body lines and require no modifications for installation. These all stainless accessories will never tarnish, pit or lose their luster.